“How much sugar is okay to consume in a day? You write about how a serving of Chocos has 2.5 tsp of sugar, that doesn’t seem a lot, isn’t it?”. Good question…To answer this, I started reading up on the prescribed guidelines for sugar both in India and in the US. Before I share the numbers, let’s keep in mind, there are natural sugars found in fruits, vegetables, milk and grains. The guidelines below are applicable for “added sugar” - amount of added sugar considered acceptable for a healthy diet. 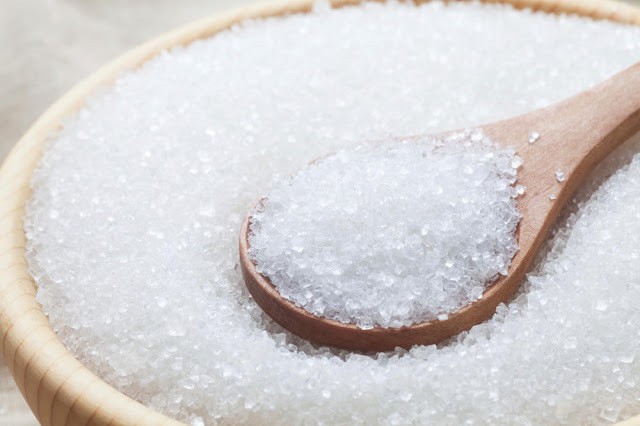 To keep it simple, the maximum added sugar that a child can have is around 5-6 tsp per day. The American Heart Association (AHA) has released a set of guidelines on sugar allowance. The numbers are more or less in the same range, except for adults. Let's look at the day-to-day routine of our children. Most kids start their day with a glass of plain milk / Bournvita / Complan. The packaged malt drinks contain sugar and on top of that, we typically add a tsp of sugar to make it palatable. How many servings of milk do kids have in a day? Typically 2-3 glasses. So 2-3 tsp of sugar atleast. If they have a bowl of Chocos for breakfast or a bread sandwich with Nutella spread, the 5 tsp limit has already exceeded. Most of us might try to convince ourselves, thinking, “kids being kids….they will run around and burn all these calories. Nothing wrong if they eat sugary treats”. Let’s look at the hard reality. How many children actively play these days, especially girls? My sample size is limited to children in my apartment. I have rarely seen girls of 8+ years run around and play. Usually, they take a stroll around the apartment or sit down and play board games. Maybe, they go for some organized sports classes (I seriously hope so!). Our kids would easily exceed their 5 tsp limit on a daily basis, looking at these numbers. If they attend birthday parties, they would easily cross 2-3X times the sugar limit. No wonder, they all get so hyper during and after birthday parties. Please note, I haven't included the sugar levels in birthday cakes, especially the fondant-loaded ones. One might argue, "Birthday parties are not daily events. What's wrong if they enjoy a little more occasionally?" Most urban kids live in large-size apartments. If the number of apartments are 300+, then a kid would easily attend atleast 1 birthday party a fortnight. They would also have friends from school, friends from after-school activity classes etc. So what's the actual number of birthday parties your child participates in a month? Does that mean kids don’t get to enjoy sugary treats? Not at all. Here are a few ways by which kids can have sugar but well within the upper limit. 1) If your child drinks milk, ensure you give it either without sugar or with less than a tsp of sugar. No added malt powders. 3) Replace white sugar with cane sugar (naattu sakkarai in Tamil), palm sugar candy (panangkalkandu in Tamil), palm jaggery (panai vellam in Tamil) or the regular jaggery. I stopped using white sugar early last year and I don’t miss it at all. 4) Make fresh fruit juices at home without adding any sugar. Natural sugars from fruits are more than sufficient. If required, add no more than a tsp of cane sugar. At home, I often make pineapple juice and watermelon juice without any sugar. For mosambi juice and lemonade, I add a tsp of cane sugar. 5) Please, please stop giving breakfast cereals, jams and chocolate spreads on breads. Let these options be given ONLY on days when you are tired or unwell. 6) Smoothies are all the rage now. I sweeten the smoothies for my daughter with ripe yelakki bananas and dates. It tastes so yummy and sweet. There’s no need for any other sweetener, including honey. 7) I use honey but on a limited basis. Many of us bake healthy treats (granola bars) with honey. As per Ayurveda, honey should never be heated or used in cooking. I believe this principle strongly. I use honey to drizzle on top of a fruit salad or mix with warm herbal teas for my daughter. 9) Last but not the least, let’s restart the habit of stocking up laddoos at home. When I was a kid, my grandma used to prepare many varieties of laddoos at home. They are perfect for midmorning snack break, before or after-play quick munchies or for that sweet tooth cravings after a meal. Couple of days back, I made protein laddoos using urad dal, jaggery and a few other ingredients. By using 100 gms of organic powdered jaggery along with other healthy ingredients, I was able to roll 17 small laddoos. Each laddoo has around 1.5 tsp of jaggery, that’s it. If you wish to pamper your child, give them your time and attention, not sugar-loaded junk foods. P.S. Update: I went to the supermarket and noticed that the small tetra-packs of Tropicana juices are of 200 ml size. If a kid likes to gulp down the entire pack, then the sugar consumed would be 7 tsp. That's what is served in most birthday parties.